The idea is to freely choose and vote for contemporary plastic artists, such as painters, sculptors or ceramists from Catalonia. Artists who are not dead, and who were either born in Catalonia or are very tied to the region. 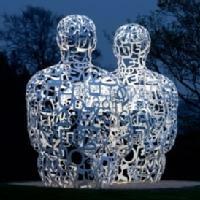 (In the picture: Sculpture by Jaume Plensa). Who are the Best Argentinean Painters in History? Who are the Best Contemporary Artists from Galicia?